No assembly required, reducing installation time and effort. Norwesco 1,500 Gallon Septic Tank, part# 43504 is a 2 compartment septic tank. It's primarily used for the storage of wastewater. This plastic septic tank offers a lightweight low cost alternative to old-fashioned concrete septic tanks. This 1500 gallon low profile septic tank is constructed with rotationally molded polyethylene resin. It's seamless construction makes it durable and resistant to cracks, chips, and ruptures. The poly tank was made with FDA approved resin that complies with FDA standards 21 CFR 177.1520 (1) 3.1 and 3.2 for waste water storage. 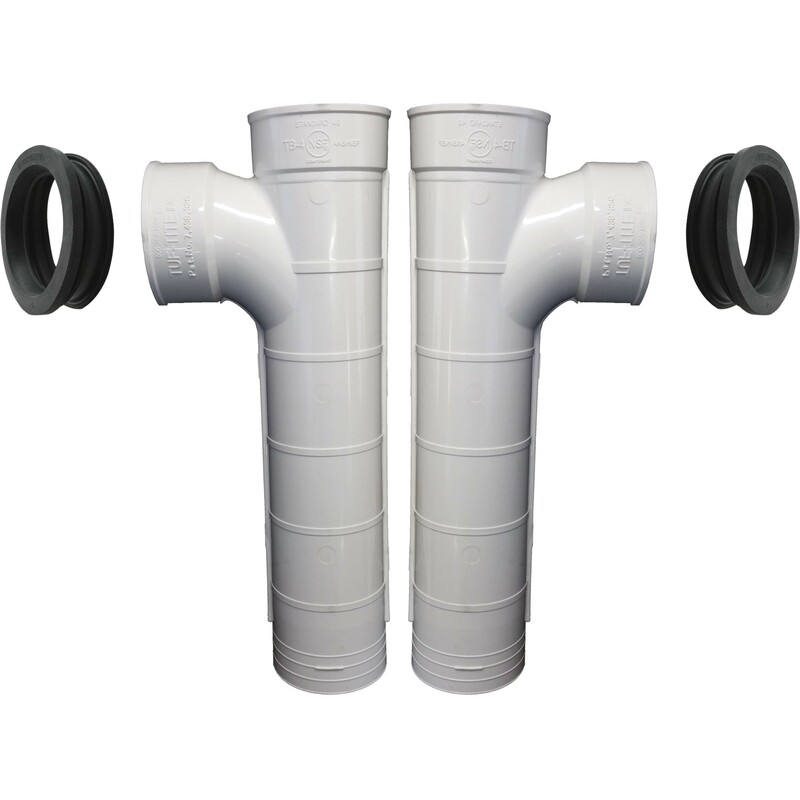 The 1500 gallon low profile septic tank features two 20" gasketed manways, a 4" gasketed pvc tee assembly inlet, and a 4" gasketed pvc tee assembly outlet. Installation requires no backfill. Norwesco backs their septic tanks with a 5 year manufacturer warranty. Additional riser options are available. These plastic septic tanks are available in sizes ranging from 200 to 3,525 gallons.